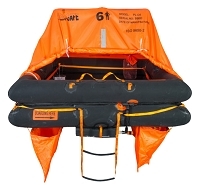 Life Raft Store carries a full line of EPIRBS by ACR. From the small GlobalFix V4 to the full-featured GlobalFix PRO. 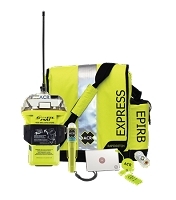 EPIRBS have been known to save lives and work the same as the Smaller PLB's with the only difference of Auto Activation versus Manual Activation. 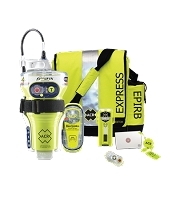 Each EPIRB is GPS enabled to ensure accurate location reporting to First Responders in case of activation. 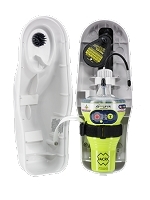 Whether your Sailing in a Full-Size Yacht or a rowboat, the ACR EPIRB will save your life in the event of an accident or mishap. For the cost of peace of mind, nothing does a better job of letting the rescue services know you're in trouble. 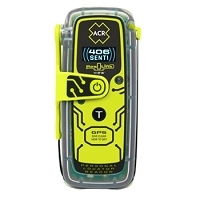 Satelite Phones need to have coverage, Cell phones can run out of range, or be offline due to bad weather, but an EPIRB signals your distress call to the NOAA satellites in orbit and reports your unique serial number to the NOAA agency who in turn report the signal to the local responder in the signal's local area. 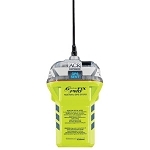 EPIRB Batteries will last a full 24 hrs and can be stored for up to five years between batteries. 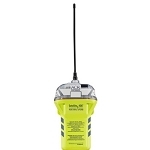 Be safe, carry an ACR EPIRB with you. It may save your life or the life of someone like your family.